Update: The search for new guide writers has now ended. Future applications will most likely be ignored I'm afraid. More info here. About a year ago, I finally decided that if my dream of a massive site in which you could read complete reference guides to every Sonic game in history, each incredibly rich in detail and expressed clearly and colourfully, were to ever become a reality, I would have to get others on board. Sure, I could do it all myself, but it'll take years, and at the expense of exciting new projects. It's not that I've lost interest in this project, on the contrary I want to keep Zone: 0 alive and relevant. So I put out the call for new writers - people who wanted to write guides for the games I've yet to cover, and simply share out the workload for volunteers who want to be part of this massive project, allowing it to live on and ideally grow more quickly too, as more of a community project. Over the last year, I've had a fairly steady stream of interest from many people, and new guides have been started, which I'm extremely grateful for. Given the length of time it takes to do these things properly and the fact that real lives have a habit of getting in the way, they are all still very much in progress, and I wouldn't expect them to be done quickly. The search has also expanded into other areas in which enthusiastic, lovely people want to help the site grow. Projects on the go at the moment include translation of pages into German and a fantastic new artistic addition to the level pages that I hope will debut fairly soon and will be extremely welcome! If you have any other ideas for things like this that you would like to contribute besides writing, I'm all ears! But for now I mainly wanted to just refresh this whole search for writers to see who else we can get on board! I've been in contact/tried to get in contact with those who have already signed up to be a writer for a particular game of their choice, to see who still plans on completing their guide and who has decided not to continue, for various reasons. This has freed up new games that were previously taken, and are now available once again. How to write for this site! There are no web design skills necessary, so there's no need to be scared off by terrifying HTML tags and CSS. Simply write out the guide bit by bit and when complete, I have a completely custom built content management system that makes it a piece of cake to publish the guide online, which you can either use yourself, or I can do it for you. If you can take your own screenshots that would be particularly useful, but if not I may be able to take care of it. The availability of maps to reference will depend on the game. You can take as long as you need with it, as I know it's very much just a spare-time thing and I don't necessarily impose any sort of time limit at all on it. All I ask is that you keep me updated on how it's going every now and then, or whenever you've made significant progress. - Above all else you need to make sure you can commit to this project. It's no good to come along and say you'll do something and then never get in touch with me again because you've lost interest. It's understandable if important real life things unexpectedly take over, and if that's the case you need to tell me and cancel or delay the guide if necessary. That's fine, and I don't mind if it takes a while to do, as long as you're pretty sure you can provide what you say you will! Bottom line, do not start something if you can't commit to finishing it! - In order to ensure high quality throughout, good writing skills are essential. Having your own writing style is one thing, that's perfectly fine in most cases, but it needs to be detailed, clear and accurate. You should have excellent grammar and spelling and be fluent in English. This is very important, as I have had to turn down people who didn't really convince me of their abilities to express themselves clearly. Humour is welcome, I encourage it, though please keep it inoffensive and accessible. - Its level of depth and detail is, I would say, Zone: 0's real "USP" so to speak. I try and squeeze out as much detail I can out of everything I write about, and I would expect another writer's work here to do likewise really. Make sure you've explained everything from every angle, considered all possibilities. Look at the existing guides and try to match their level of depth and detail wherever possible. This is crucial. - The guides of Zone: 0 run on a fairly rigid structure, i.e. for each level, sections for appearance, structure, features and obstacles, and then a list of noteworthy points, separated by acts. Things like this can't possibly apply to every single game, but should be suitable for most platformers in the series, albeit with some amendments in many cases. Before you start, we'll discuss these amendments and share ideas for how you could structure your guide in this way, particularly important for non-platformers. You need to be aware of keeping continuity with existing guides where appropriate though. Insisting on an entirely new system where not necessary won't really be appreciated! - You have to research your game as absolutely thoroughly as you possibly can. For example, don't pick a route through a level and guide the reader on it while ignoring all other significant points on other routes. Give them the choice of where to go and present every possible hazard of significance that you can find. If in doubt, I'm happy to advise. - I act as editor when you submit writing. Please don't be offended if I ask you to rework certain bits. I'm willing to discuss and compromise any disagreements but I just want to make sure the guide is as good as it possibly can be! Please email liquidshade@soniczone0.com with the game you'd like to write a guide for (make sure it's not already in the list below first!) and an alias you'd like to be known by when added to the list and credited. If you seem capable, I will get back to you to begin discussion on how best to organise the guide in question, and ask you to write and send me a draft for part of it, often the first level. Note that guides for Sonic 3D, Sonic Heroes and Sonic Advance, which appeared on the previous list, have been cancelled, either by the writers or by me in the case that a writer hasn't responded to my requests for confirmation. Therefore, these cancelled games are now available once again! I'm currently planning a small update to some of Zone: 0's features to coincide with the start of the Sonic & Knuckles guide toward the end of the year. Among other things, these features will do more to incorporate the hunt for new writers within the rest of the site, and offer guidelines to assist writers. Ideally I would also like to accompany this with the start of a guide from another writer too. To any current writers in the above list who happen to be passing by, please let me know if you might be able to complete your guide within this sort of time frame and update me on where you are with it. Or any new writer who thinks they can complete a guide for a small game by the end of 2010, I'd be particularly keen on hearing from! Comments 14 Comments have been posted. I'll give it a try. I try to write a guide for Unleashed (PS3) Apotos act 1&2 Daytime. Now don't take me granted since I don't trust this motivation I have right now. Meaning don't put me on the list yet. If it doesn't work well I let you know. 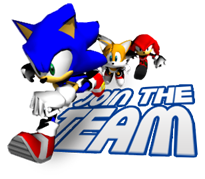 Hello, I'm not sure if I'll even be able to do it (I have a lot on my plate right now), but I was wondering if it'd be a good idea to do a section dedicated to the rules of Sonic in general, level design, points systems, level types, enemies types, ect. As I said, I'm not even sure if I'd be able to do it at all, but I'd like to suggest it, so that if I can't do it, someone else could. Yeah, I have thought about something like that from time to time, but I'm not sure it's appropriate just yet. Maybe when more game guides have been accumulated, but generally I think it's better to have the specific rules of each game expressed within their own guides, for the time being. Perhaps at a later date there will be room for that kind of expansion. Alright. I was thinking about that too (the part about each game having it's own rules), but I was figuring that this section would have more detail about each feature, and also how some of it was made. But you're right to wait for now. I have an idea for an indepth guide to the characters of the Sonic Mythos. A guide indicating the characters origins, personality, game appearances, storylines (including comic/tv appearences). I'm sure I could write that over the summer. Can I maybe write a few stages from sonic tripple trouble? i could do sonic riders (PS2). i could tell people stuff like what gear does what and how much they cost, how to unlock maps and gear, talk about what each charters skill is, there arnt any map overlays that i can find right now, but i could make one if i need to. I would like to add a page on the game gear sonic spinball and a level walkthrough. I have a game gear and know multiple areas and cheats. I've completed the game about 15 times.